It starts as a persistent and irritating pain in the foot or lower leg, then it gets more intense, maybe with swelling, and soon a runner knows she's being sidelined by one of the most common running injuries: a stress fracture. These tiny cracks in the bone can halt training for months or even end a sports season. 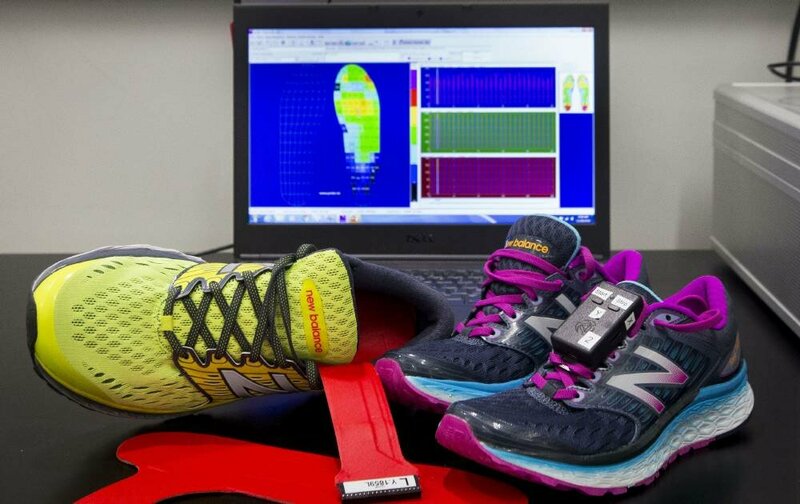 Working with a local running club, an orthopedic specialist who advises the NFL Players Association and a team of Vanderbilt engineers, Assistant Professor of Mechanical Engineering Karl Zelik discovered that sensors only measuring the impact of the foot hitting pavement—which is what virtually all of them do—tell users little about the forces on bones that lead to stress fractures. 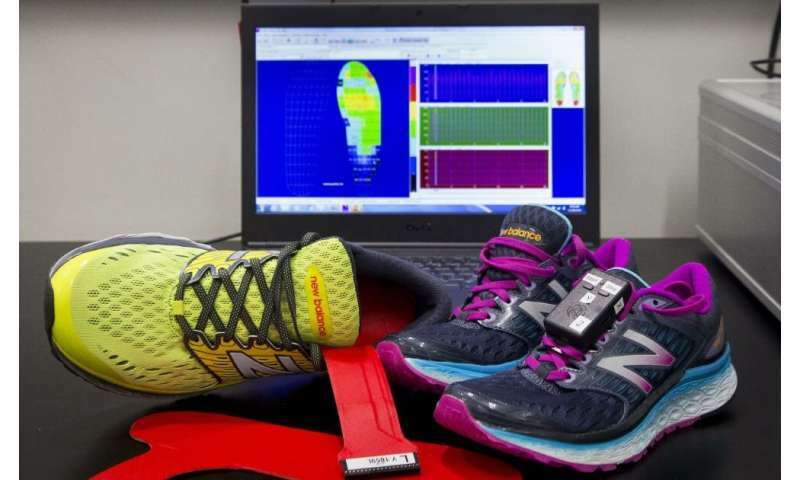 His research confirmed that the vast majority of force on the bone is actually from muscles contracting, not from the foot's impact on the ground, a finding widely overlooked by both the wearables industry and many scientific studies. Zelik's research, appearing today in the peer-reviewed journal PLOS One and titled "Ground reaction force metrics are not strongly correlated with tibial bone load when running across speeds and slopes: Implications for science, sport and wearable tech," offers the most clear and simple demonstration of the problems underlying the existing tools and prevailing methods for assessing bone stress and injury risk. "We looked through the recent scientific literature, and we found that more than 50 scientific publications each year report or interpret their results based on this incorrect assumption that ground reaction force is representative of internal structure loading—the stress on bones and muscles inside the body," said Zelik, a former college track and field standout. "Measuring ground reaction force may be convenient, but it's the wrong signal." Wearable accelerometer and pressure sensors already on the market may help monitor bone stress injury risks, but only if they combine information about the ground reaction force and the force from muscles pulling against the bone. 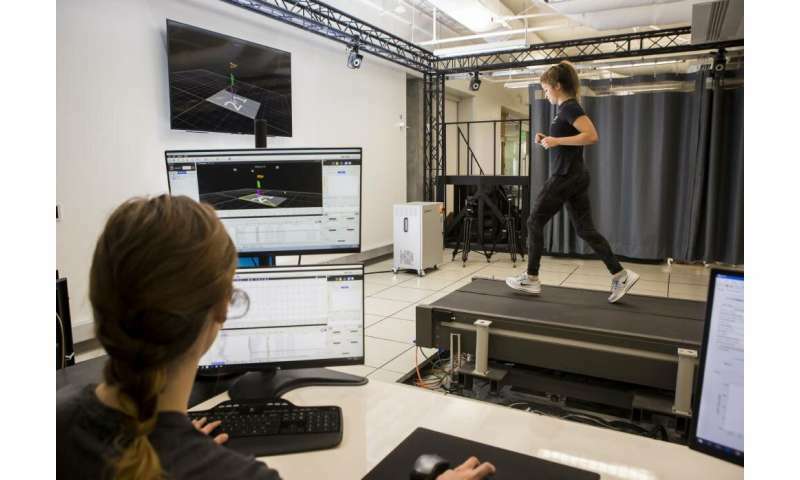 In general, you cannot assume that increases in ground reaction force indicate increases in bone stress, said Emily Matijevich, a mechanical engineering Ph.D. student in Zelik's lab and herself an avid runner. 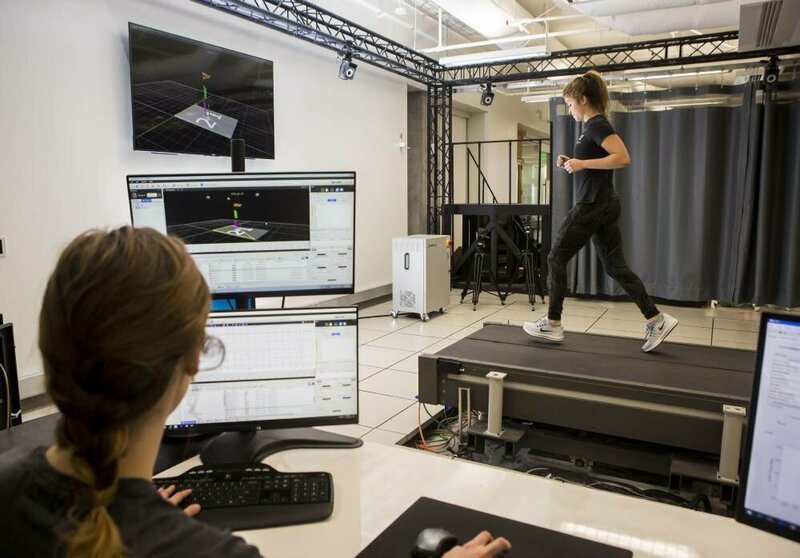 "We used high-speed, motion-capture cameras to track runners' movement and a special force-measuring treadmill to record the ground reaction force under their feet," she said. "We then combined these signals using biomechanical algorithms to estimate the compressive force experienced by the tibia bone in the shank, a common place for stress fractures to occur. In nearly all cases, we found that the ground reaction forces were not strongly correlated with tibial bone loading." This research began two years ago, when Vanderbilt University Assistant Professor of Orthopaedics Leon Scott, who serves on the NFL Players Association's health and safety committees, asked Zelik a simple question: Could wearable sensors be used effectively to prevent the stress fractures Scott saw in his clinic every day? Matijevich, Zelik and Scott are now exploring new ways to monitor bone stress non-invasively, and recently filed a patent application for a system that fuses data from multiple wearable sensors to estimate tibia loading from both muscle contractions and ground reaction forces. They're seeking commercial partners to develop this new wearable tech and explore applications to recreational runners, military cadets and elite athletes. "There's only so much you can do when the game is going, because those are high-speed injuries, but we can do something about stress fractures during training and conditioning," Scott said. "Right now, we don't have great tools to tell us what's happening to the bones other than experience and anecdote and these are, unfortunately, failing quite a few people."